View More In Handlebar Accessories. CNC-machined 7075-T6 billet aluminum 50mm clamps have superior strength and rigidity. 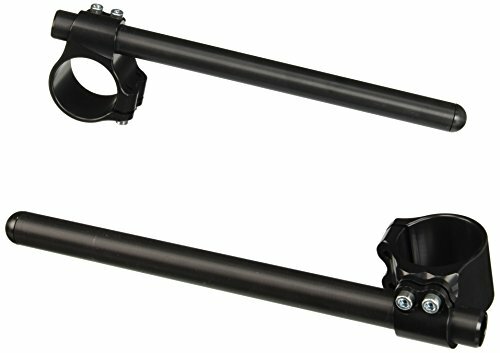 These clip-on bars are the choice of many AMA factory race teams as well as privateers. The clip-on tubes are angled 7 degrees down for excellent rider control without a sacrifice in comfort.